Starbucks Tapped Public Policy, Racial-Justice Organizations to Help With Bias Training, but What Will Change Look Like? After the arrest of two black men in a Philadelphia Starbucks for simply existing, the ubiquitous coffee chain immediately stepped forward, implementing swift action in a bid to combat racial bias. As part of its initiative to fight discrimination, Starbucks announced that it would close all stores nationwide on May 29 to provide more than 170,000 employees with racial-bias education. The coffee chain sought the advice and guidance of several national and local experts, including Bryan Stevenson, founder and executive director of the Equal Justice Initiative; Sherrilyn Ifill, president and director-counsel of the NAACP Legal Defense and Educational Fund; Heather McGhee, president of Demos; former U.S. Attorney General Eric Holder; and Jonathan Greenblatt, CEO of the Anti-Defamation League. But what would meaningful, groundbreaking change actually look like in this scenario? Well, for one thing, it certainly won’t be an immediate transformation, occurring at the snap of the finger. May 29 is more of a launch day than anything else, part 1 of an ongoing learning process for all Starbucks employees. 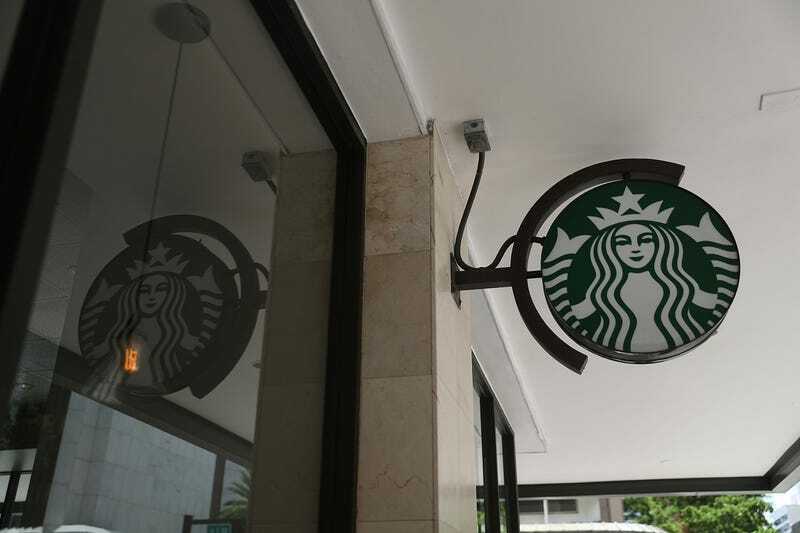 The one-day closure of the stores is a sign of Starbucks’ seriousness about this issue. It’s a message that they want to send to their employees and to their customers that they are taking this seriously, but they know as everybody knows that to truly transform an institution to be an actively anti-racist institution takes time. ... We have been in dialogue with Starbucks about the various phases of work that need to happen over the long term. Both McGhee and Ifill were individually approached by Starbucks founder Howard Schultz, who asked if they would be willing to act as a sounding board for the training. They both agreed, and earlier this week they sent a letter to social-justice leaders detailing their role in helping Starbucks craft anti-bias training. While neither we nor our organizations are in the business of providing bias training to corporations, we recognized that as African American leaders committed to eliminating racism at all levels in our country, this effort could be an important, and potentially transformative, opportunity to address a long-standing and chronic challenge people of color have faced in public accommodations. We agreed to participate pro bono, to offer our independent judgment, and to help develop a framework in which Starbucks and other corporate actors can provide their workforce with the tools they need to confront and address bias. We know that the problem of anti-Black bias and other forms of discrimination is not Starbucks’ problem alone; it’s a deeply American problem, made consequential and often lethal by the compounding force of unaccountable, discriminatory policing. The larger issue here is the mass criminalization of our people, and we each made it clear to Starbucks that they have the privilege and responsibility to influence not just employee practices, but police practices in Philadelphia and across the country. We will continue to advocate on that front, both with Starbucks and with the police, and welcome your thoughts about how we can make the greatest impact. These places of public accommodation are what so much of the battle for civil rights and to defeat Jim Crow was about, and that fight continues today. Even though, as policy and litigation and advocacy organizations, we do not generally offer anti-bias-training guidance to corporations, we felt that this was an invitation to do something that could have ripple effects throughout corporate America. Since the Starbucks incident, we’ve seen even more incidents of black people being abused and mistreated in corporate spaces, and we think there’s time for a higher standard to be set and for corporations to use their leverage to shape police practices in their stores and for corporate America to recognize that it has a racism problem just like America has a racism problem. Starbucks will also consult with a diverse array of organizations and civil rights experts, including the Anti-Defamation League, the Leadership Conference on Civil and Human Rights, UnidosUS and Muslim Advocates, as well as representatives of LGBTQ groups, religious groups, people with disabilities and others, the coffee chain promised in its own release detailing more information about the training. So, what will that higher standard and training look like? There are some basic steps that any organization could look into, McGhee pointed out, including a review of company policies and practices, ongoing training, leadership development for people of color and ongoing education of employees at all levels. Regardless of how many phases and steps training will take, Starbucks is seemingly determined to set an example, a fact that is not lost on the same experts the company called upon for assistance. We were very clear, when we agreed to assist with this process, that training is not our job. There are brilliant and experienced experts in this field, who will refine and execute a curriculum, and unlike us, have made careers out of anti-bias training in a variety of settings. We are recommending to Starbucks an array of potential seasoned social scientists, facilitators and consultants with the kind of experience and rigor this process requires. We are offering our guidance to inform the process based on our decades of collective experience deeply engaged with racial justice work, and our real-world expertise about the long history of bias against African Americans who seek to access services in the public space. We have also pressed to have the multi-phase curriculum reach beyond anti-Black racism, to include the multiple group identities that face discrimination.